Coming back from upstate NY on Sunday I saw something that I just don't see too often anymore. It was there on a corner--right where it was supposed to be and it was a telephone booth. 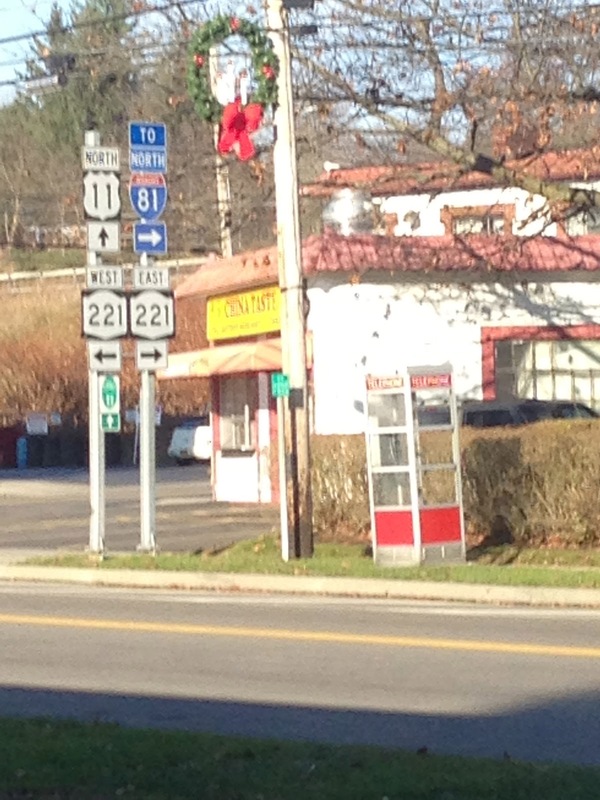 This one was in the town of Marathon, NY. Chris and I noted that we hadn't seen a real, full phone booth in a long time. A 2007 article from the Washington Post writes about the demise of the once ubiquitous phone booth. I wonder where Superman is changing these days? And how many high school seniors can really fit into a telephone booth? It seemed lonely, standing there. A throw back to an earlier time before cell phones and instantaneous communications around the world. I'll bet there wasn't a phone book inside. Remember the phone books inside of phone booths? They always had ripped pages and were fat because of the moisture. Phone booths always smelled bad, too. I remember looking for dimes (yup, dimes) to make a call. And having people ask me if I had a dime. What do we use dimes for these days anyway? I remember collect calls! Especially from phone booths. Maybe I don't miss them. Just the nostalgia of having them around.